The 1967 NHL Expansion depended on securing votes from the then current NHL owners; to ensure that Pittsburgh would be selected for expansion, McGregor enlisted Rooney to petition votes from James D. Norris, owner of the Chicago Blackhawks, and his brother Bruce Norris, owner of the Detroit Red Wings. 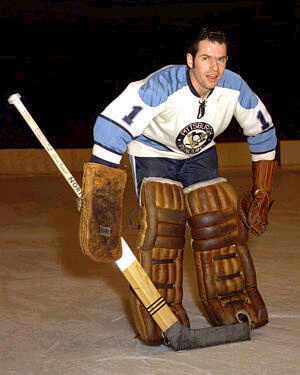 The effort was successful, and on February 8, 1966, the National Hockey League awarded an expansion team to Pittsburgh for the 1967 – 1968 season. The Penguins paid $2.5 million ($17.5 million today) for their entry and $750,000 ($5.3 million today) more for start-up costs. The Civic Arena’s capacity was then boosted from 10,732 to 12,500 to meet the NHL requirements for expansion. The Pens also paid an indemnification bill to settle with the Detroit Red Wings, who held the rights to the Pittsburgh Hornets. The investor group named McGregor president and chief executive officer, and he represented Pittsburgh on the NHL’s Board of Governors.